I am SO pleased that you're interested in an affiliate alliance with The Wine Supply to promote The Wine Store's products. 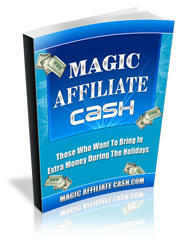 I know you'll be thrilled with how affiliate marketing will increase your sales. There are primarily 3 different ways to set up an affiliate program for your site. 1) Join an affiliate network that handles almost all of the work associated with the program, including processing orders and affiliate payments. 2) Sign up with a shopping cart service that includes affiliate-tracking software. 3) Buy and install affiliate program software on your own server. Each method has its benefits and disadvantages. The affiliate network option is perhaps the most costly, but the least work. Signing up with a large affiliate network will also put The Wine Store in front of thousands of affiliates, eager to sell your product. The second option is less expensive, and slightly more work in that you'll need to advertise the program to gain more affiliates. The third option is the least expensive with a one-time purchase of software, but the most time-consuming to administer in terms of keeping track of affiliate sales and payment handling. I recommend that you take a look at the following options to compare service and prices. If after reviewing those sites you have questions, please feel free to contact me. You would of course enter your own affiliate ID codes into the links for whatever sites you decide to recommend. Note that I've used 'cloaking links' because this was to be sent as an email. The affiliate links given by IShoppingCart and MyAffiliateProgram are so long that they may be broken by the time they get to the recipient. The recipient clicks on the first part of the link and gets nothing but a 'Page Cannot be Found' error, which diminishes their trust in you immediately. It also loses the sale for you. So invest in link cloaking software to shorten up those long affiliate links. It'll also help protect your commissions. I use, and personally recommend, Affiliate Link Cloaker.